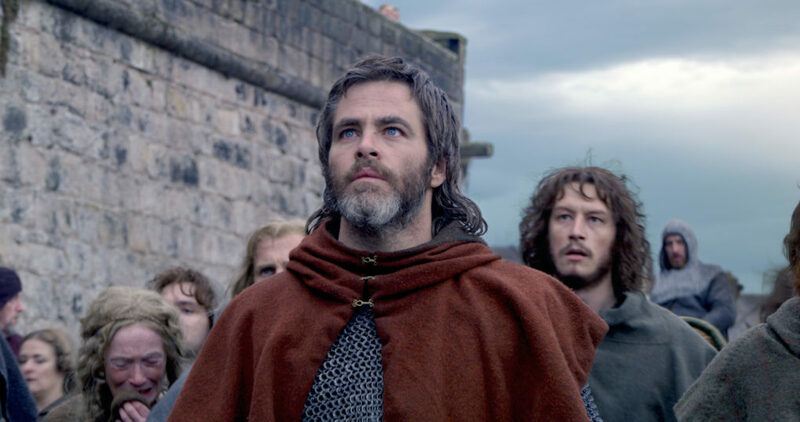 Chris Pine stars in film about Robert the Bruce, Outlaw King. Pic courtesy of Netflix. It’s about time Bruce got his own film, writes David Weinzcok. After all, Braveheart didn’t exactly leave Bruce in the most flattering light. Sure, he leads the charge at the end, but the stain of his betrayal of Wallace has proven impossible to wash off for many audiences. Of course, you’ll likely know that Bruce did not, in fact, betray Wallace. For any American readers, saying Bruce did so is a little like saying George Washington got halfway across the Delaware before turning back and joining the British. So for all those who love Braveheart for its gusto but loathe it for its historical inaccuracies, redemption for Bruce may well be at hand! 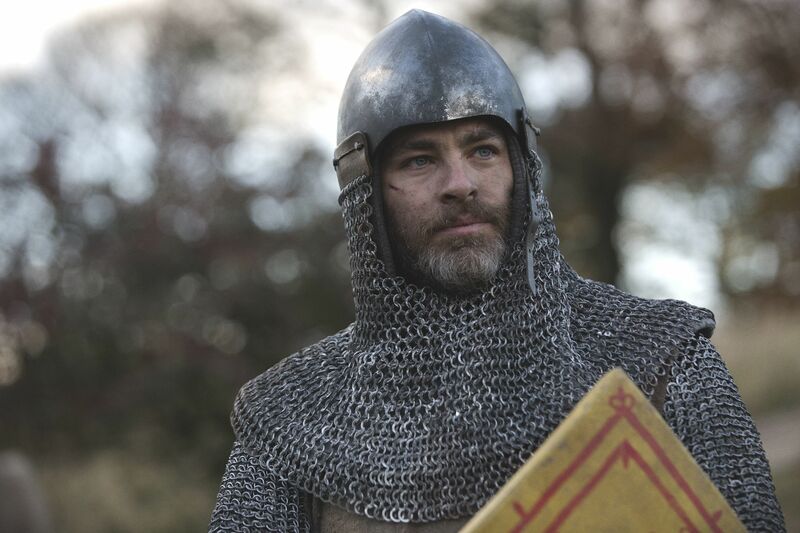 We don’t know yet exactly what chapters from Bruce’s almost unbelievably dramatic story Outlaw King will be telling, but key characters include Aaron Taylor-Johnson as James ‘the Black’ Douglas, Tony Curran as Angus Og MacDonald, Stephen Dillane as Edward I, James Cosmo as Bruce’s father and Chris Pine in the titular role. 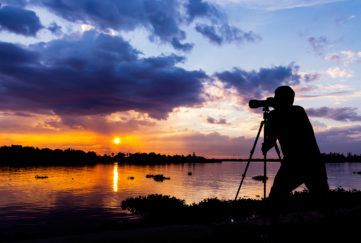 Due out this November, let’s take a look at some of the places we might see in Outlaw King if it sticks to the historical script. Stirling Castle, perhaps the most pivotal castle in Bruce’s tale, has been deliberately left out as it was the focus of a recent article you can read here. No Hollywood hero story can resist a dramatic birth or childhood scene, so look out for Turnberry Castle! This was the mighty seat of Bruce’s mother Marjorie, Countess of Carrick. Perhaps we’ll get a romantic scene between her and a CGI-augmented James Cosmo, for tradition holds that a smitten Marjorie held Robert Bruce’s soon-to-be father captive at Turnberry until he agreed to marry her. Dumfries Castle itself was crucial to controlling the southwest of Scotland. Bruce’s legacy in Dumfries, however, shall forever be linked to the kirk rather than the castle. On February, 10, 1306 he slew John Comyn at the altar – not the best way to make friends and save your soul in the medieval world, to say the least. This bloody, impulsive act was Bruce’s equivalent of Julius Ceasar crossing the Rubicon. From that moment there was no turning back for either – it would be death or the throne from there on out. Since he lacked the manpower to garrison Scotland’s castles, Bruce’s policy was to slight them. This meant reducing them to the point where without a considerable amount effort they would be no good to anyone. Edinburgh Castle, for instance, was said to have been so reduced by Bruce’s men that cows grazed atop Castle Rock for several years after. 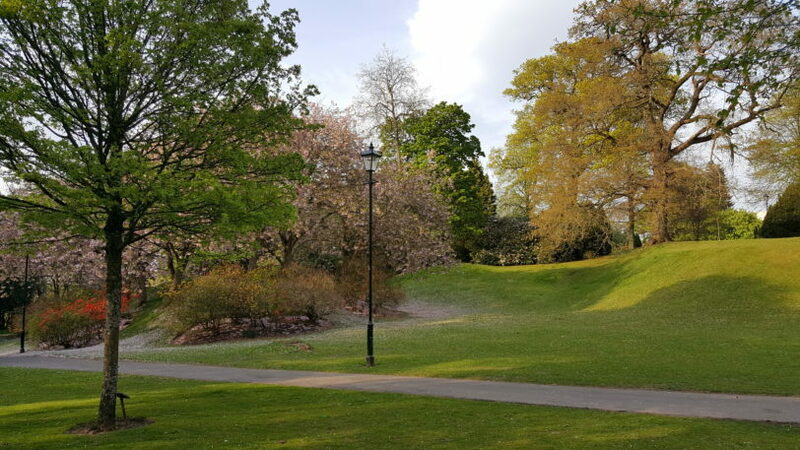 It’s doubtful that Dumfries Castle will appear in Outlaw King (it barely appears to the naked eye now, with only earthen mounds remaining), but there is simply no way they’ll leave out the murder of Comyn that occurred nearby – it’s a dramatic moment worthy of anything George R R Martin could dream up. 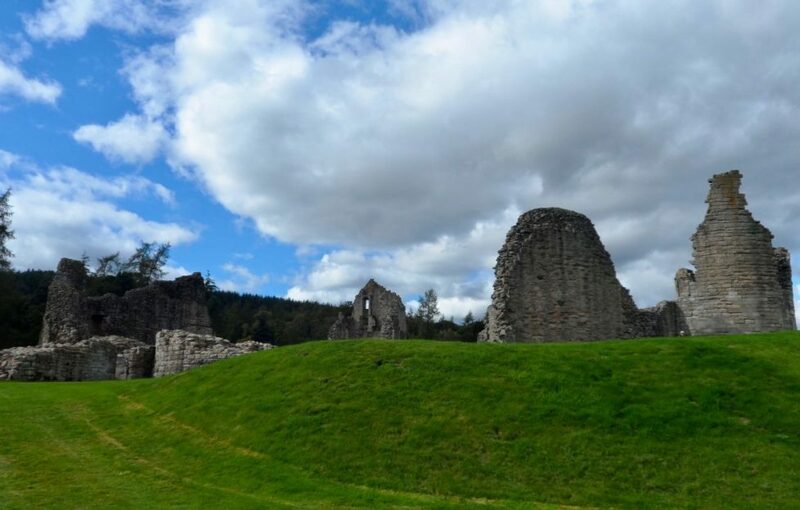 Kildrummy Castle is a place of devastating loss for Bruce. 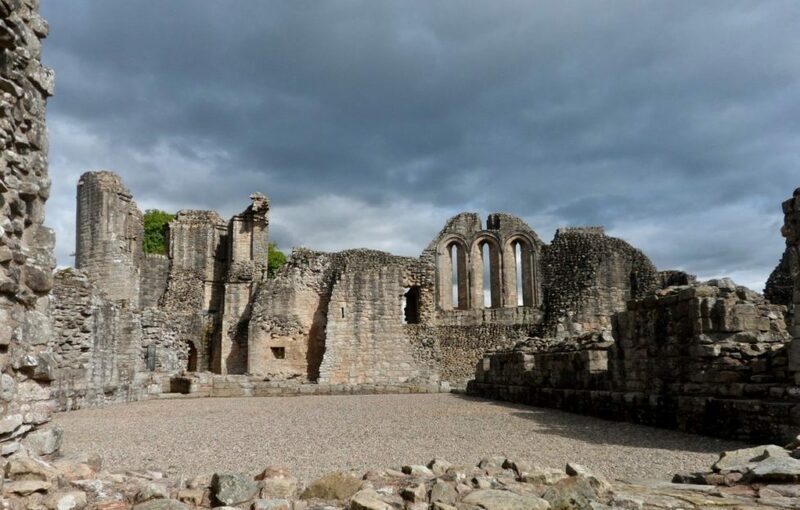 In 1306 Robert’s brother, Neil, was besieged at Kildrummy by Edward of Caernarvon, later King Edward II. The siege ended when the castle’s blacksmith, Osbourne, turned traitor and set the castle ablaze from within. 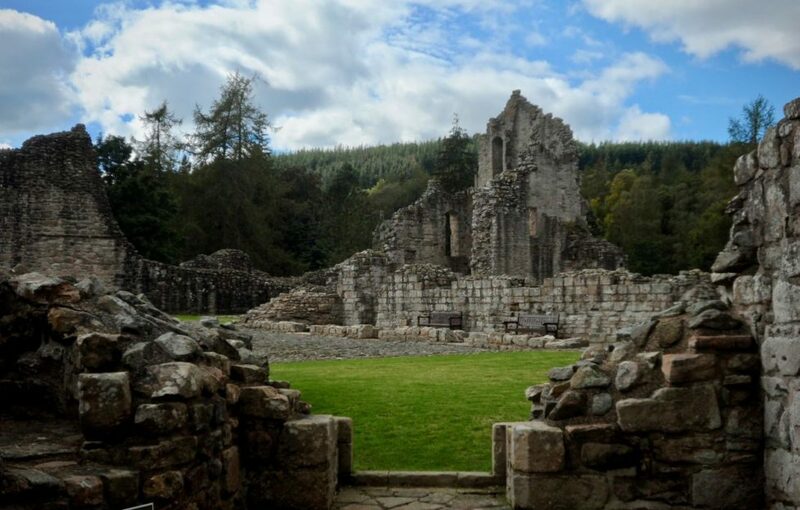 In the aftermath Neil was captured and executed, while Robert Bruce’s sisters, wife and daughter were captured and displayed in cages in town across southern Scotland and northern England. If you see Kildrummy appear in Outlaw King, get those tissues ready. The mystery of where exactly Bruce went following his defeats at Methven and Dalrigh in 1306 leaves Outlaw King many options, from the Hebrides and Northern Ireland to more exotic but less likely refuges like Norway. 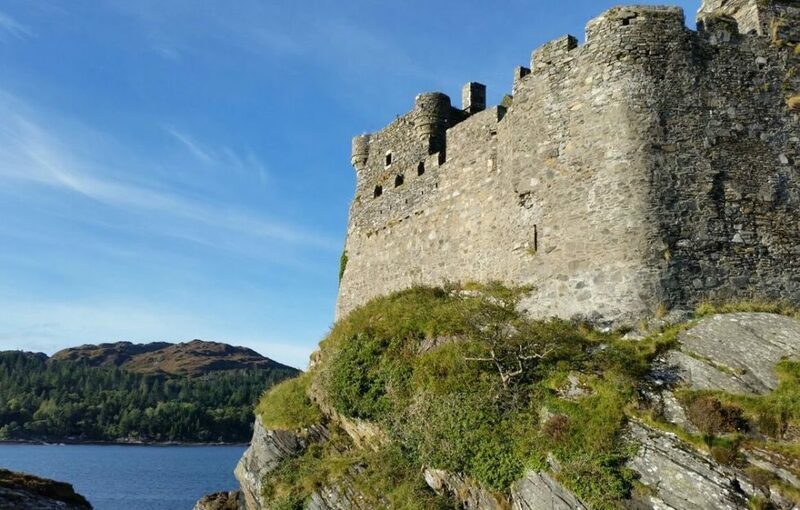 I don’t see why the crew would need to travel farther than Castle Tioram, where Bruce likely spent time over the winter in the company of his proud ally (and, if Nigel Tranter’s Bruce Trilogy can be believed, significantly more) Christina of Gamoran. The walls of the castle today stand much as Bruce would have known them, excepting the tower which is a late 14th century addition. During Bruce’s visit the castle would have bustled with action as Christina mobilised her birlinn war galleys for Bruce’s cause. 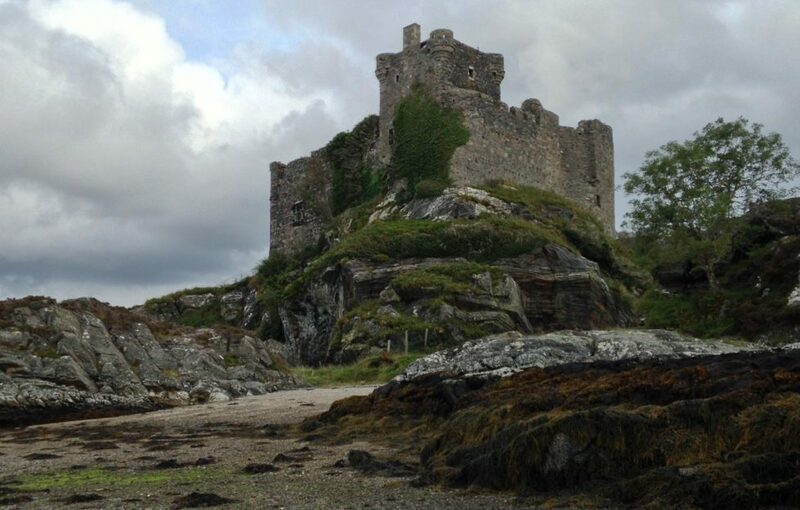 Tioram is still an impressive sight, accessible to the adventurous at low tide. 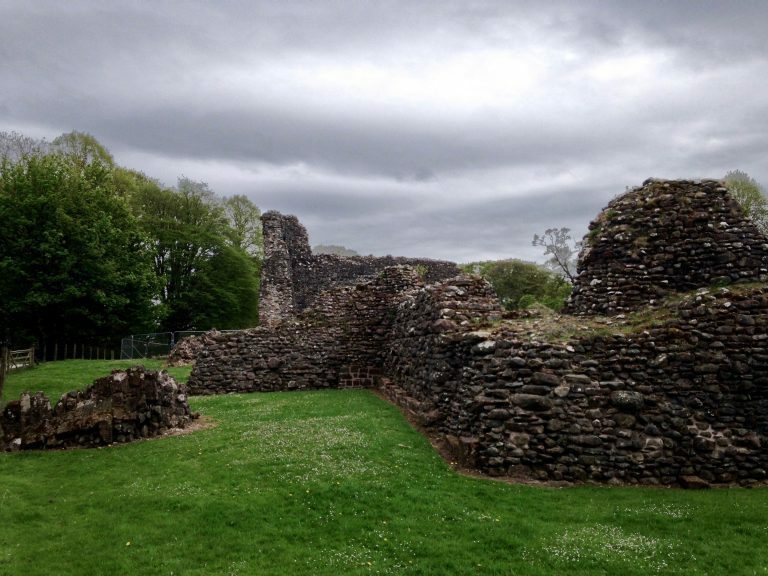 Robert Bruce’s core lands were in the south in Dumfries and Galloway (the Bruces were the Lords of Annandale after all), and of the numerous castles he controlled Lochmaben was perhaps closest to his heart. It exchanged hands numerous times during Bruce’s early campaign and suffered bout after bout of damage as a result. If Lochmaben does appear in Outlaw King, I expect it will either be in a quieter moment before the storm or in a montage of castle sieges. Incidentally, if anyone from Netflix is reading this and can make a montage of castle sieges happen, you can just take my money now to save time. What castles and other historic sites related to Bruce do you think will make an appearance in Outlaw King? 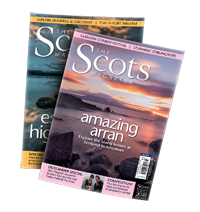 Let me and the folks at The Scots Magazine know on Twitter at @TheCastleHunter and @ScotsMagazine! Look out for the upcoming Scotlanders YouTube video about Robert Bruce with myself and Neil Robertson (@travelwithakilt). And keep those fingers crossed that there won’t be any 1,000-years-out-of-date blue war paint involved this time! 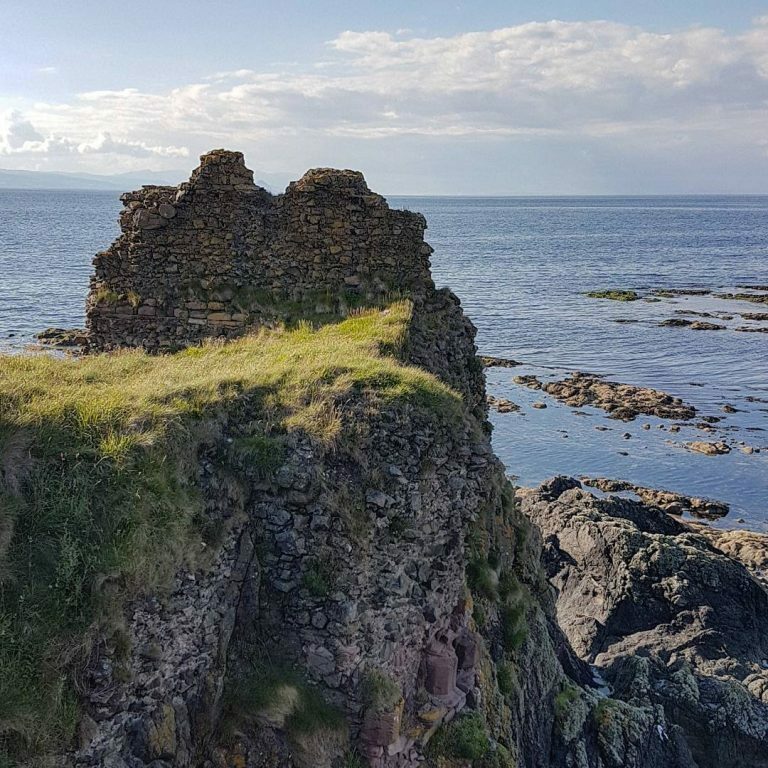 Look out for some of these castles onscreen in Outlaw King! Pic courtesy of Netflix.